The Rivers State Chapter of the All Progressives Congress (APC) has congratulated the new Chief Justice of Nigeria (CJN), Justice Mahmud Mohammed, on his appointment, even as it requested his immediate intervention in the crisis that has paralyzed the State Judiciary. “The news of Hon. Justice Mahmud Mohammed’s appointment as CJN came to us as a big relief as we are aware of his forthrightness and commitment to upholding the rule of law. We are convinced that he will bring to bear his wisdom and professionalism to the dispensation of justice in our land. As we wish him a great success in his new office, he can be assured of our unalloyed support and encouragement to ensure that he becomes one of the most successful Chief Justices of our country,” Rivers APC said in a statement issued Monday in Port Harcourt. The party in the statement signed by its State Chairman, Dr. Davies Ibiamu Ikanya, drew the attention of the new CJN to the Rivers judiciary crisis that has resulted in the closure of all the courts in the State based on the directive of the state’s Judicial Service Commission (SJSC) due to the dispute over the appointment of a new substantive Chief Judge for the State. “We as a political party are saddened by this unfortunate stalemate which resulted from the attempt of immediate past Chief Justice Aloma Mukhtar and the NJC to impose Justice Daisy Okorocha as the Chief Judge of Rivers State without any input from the Governor of Rivers State as enshrined in the Nigerian Constitution. All this is aimed at foisting an unpopular Chief Judge on Rivers State so as to clear the way for our duly and popularly elected Governor Amaechi to be impeached using some misguided six lawmakers in a House of 28 lawmakers,” Rivers APC said. Continuing, the party said: “To the Peoples Democratic Party (PDP) and its promoters, impunity is a way of life. They have attempted it in the past and they are not relenting to ensure that Governor Amaechi is ousted from office using any undemocratic means possible to achieve this. In this regard, the PDP leadership has concluded a plot to cause unrest in Port Harcourt, to be aided by the police, to force our courts open by this week just to oust the Governor and impose a State of emergency in the State. Look at what is happening at Ekiti State House of Assembly, where seven uninformed lawmakers sat without authorisation to impeach the Speaker and his Deputy in a House of 26 members! 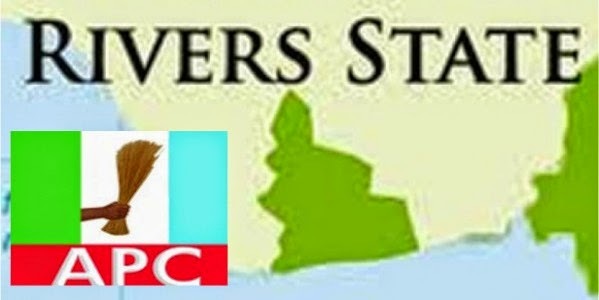 Rivers APC appealed to indigenes of the State and the entire Nation “to prepare to safeguard our collective being and resist any attempt by the ungodly PDP to remove our duly elected Governor and cause unrest in the State”, the statement concluded.